Let’s assume the following scenario. We have a Domain Controller on the network that has ceased to work altogether, for some reason that we don’t care about at this point. We have no backup, it will not work again, so we will need to completely remove it from the infrastructure. 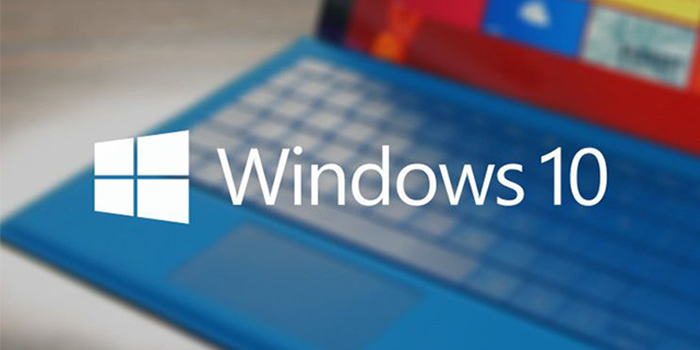 To achieve this, we will need to implement a forced removal of the Domain Controller from Active Directory. Furthermore, because such an action leaves some orphaned metadata in the AD, we will then need to go ahead and clean up these metadata. In case the DC is somewhat online, the first action, however, is to try to demote it from AD. With this scenario, we will deal with this article. Let’s move on. The forced removal of a DC can be done in 3 ways. 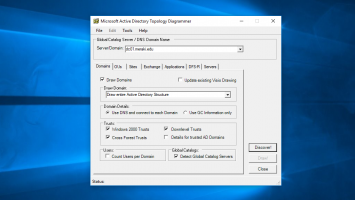 Using the Active Directory Users and Computers console, Active Directory Sites and Services console, and the NTDSUtil command-line tool. When you use the two consoles, Microsoft claims that the orphaned metadata are automatically cleaned. However, as you will see, there are still some records of the deleted DC, especially on the DNS console and Sites and Services. Although DNS scavenging takes care of removing them, personally when I delete a DC, I do a quick check of all DNS objects to confirm and delete all the records that are left. 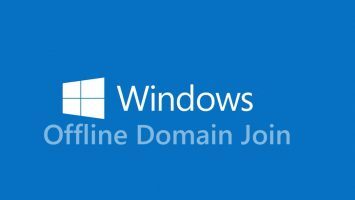 Open the Active Directory Users and Computers console and go to the Domain Controllers OU. Here, right-click the DC to be removed and then Delete. Confirm the deletion by pressing Yes. 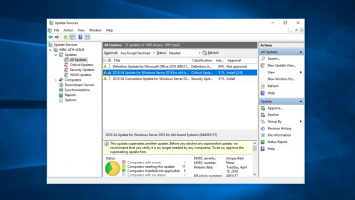 Immediately afterward, you will see a message informing you that you are about to remove a Domain Controller without using the classic method we have described in an earlier article. If DC is not going to go back online again, you need to select the Delete this Domain Controller anyway. It is permanently offline and can no longer be removed using the removal wizard option, and then click the Delete button. If the DC you are deleting was also a Global Catalog (GC) server, click Yes to confirm the deletion. If the DC you are deleting had one or more FSMO roles, click OK to transfer them to another DC. This if you have not already seized them yourself. 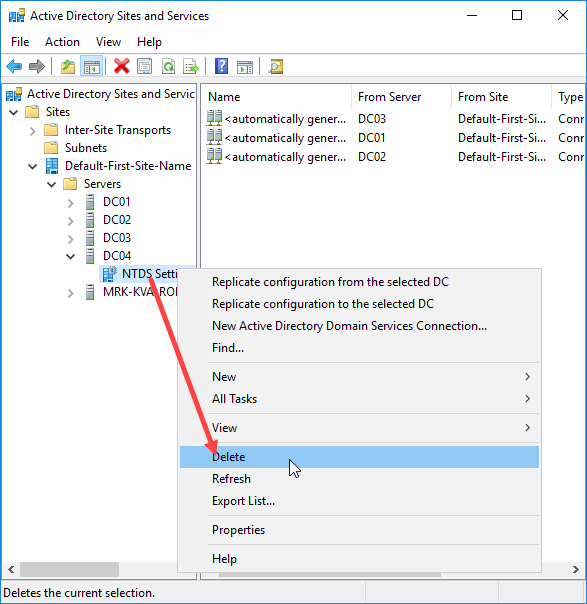 Open the Active Directory Sites and Services console, expand the Sites object till you find the DC you want to delete. 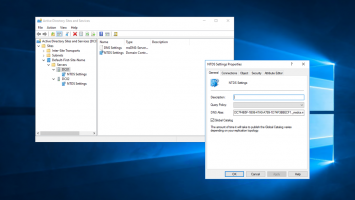 Here, right-click the NTDS Settings icon on the DC, and then click Delete. Confirm again while accepting the warnings by clicking the Delete button. As before, if DC was also Global Catalog and/or had at least one of the FSMO roles, you will need to confirm the deletion. 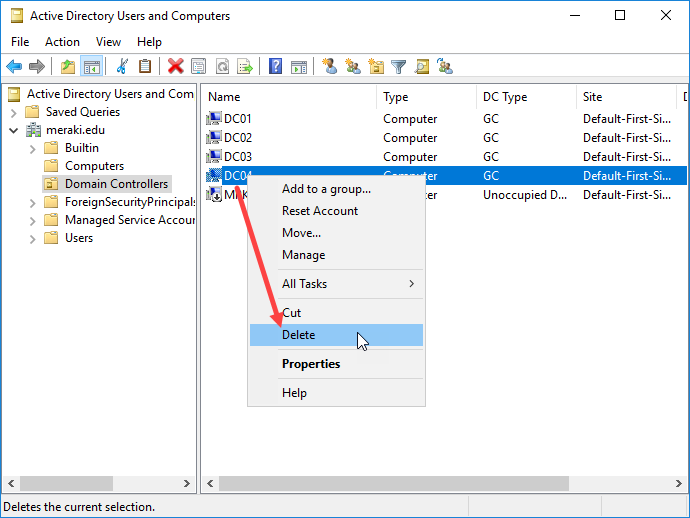 You can then delete the DC object in the Active Directory Sites and Services console. 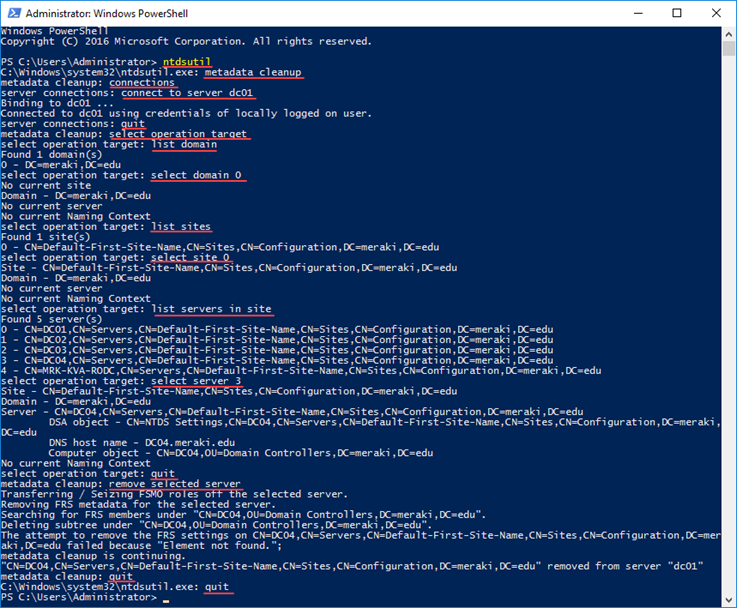 First, open the command line or PowerShell with administrator privileges. 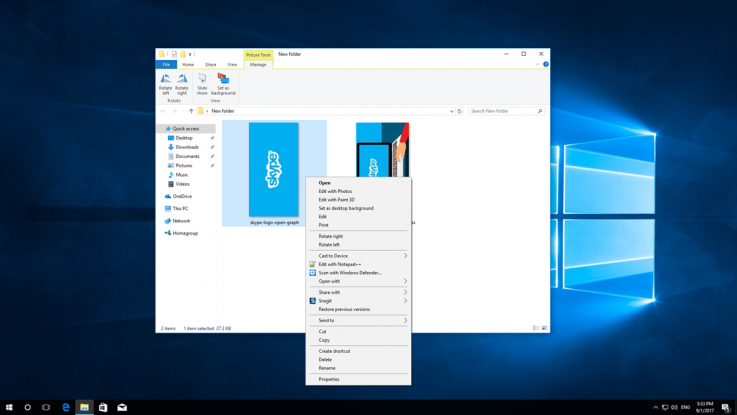 Type metadata cleanup and press Enter. 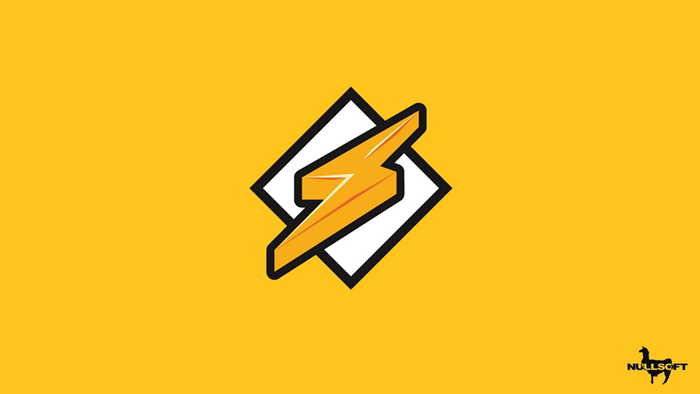 Type connect to server <-servername> and press Enter. Where <-servername>, is the name of a working DC in the same domain. Type select domain <-number> and press Enter. Where <-number>, the corresponding number to the domain that the non-functional DC member was a member of. Type select site <-number> and press Enter. Where <-number>, the number that corresponds to the site that the non-functional DC member was a member of. Type select server <-number> and press Enter. Where <-number>, the number that corresponds to the DC you want to remove. In the confirmation window that appears, click Yes to continue the deletion process. Finally, type quit and press Enter to exit the NTDSUtil management environment. After completing the steps above as you like, do not forget to check all DNS objects to delete any records of the removed DC. Αντιμετωπίζω ένα πρόβλημα με έναν demoted DC που έχει μείνει στα Sites and Services, και φυσικά με repadmin /replsummary. Ο server έχει γίνει κανονικά demote αλλα είναι up καθως είναι file server. Καλησπέρα Κώστα. Θα προτιμούσα να γράφεις στα αγγλικά για να μπορούν να διαβάζουν όλοι οι επισκέπτες τα σχόλια. Η παραπάνω διαδικασία γίνεται ΜΟΝΟ στην περίπτωση που έχεις ‘χάσει’ τον DC και δε πρόκειται να επανέλθει στο δίκτυο. Οπότε, τον διαγράφει από DC και σαν object από το AD. Για να κάνεις ένα ‘απλό’ demote από DC σε member server που θα συνεχίσει να είναι παραγωγικός, ακολουθείς αυτή τη διαδικασία.